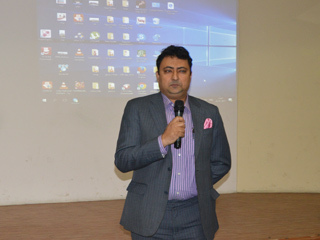 An Interactive Session was organized on “RESUME WRITING” on 20th January, 2017 for the students of BBA and BCA – IInd Year by Mr. Gurinder from T.I.M.E. EDUCATION. The session started with the discussion of need for a properly drafted resume. 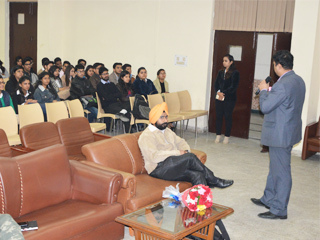 He explained the key factors which can make the resume look Impressive to the Interviewer like leadership, teamwork etc. 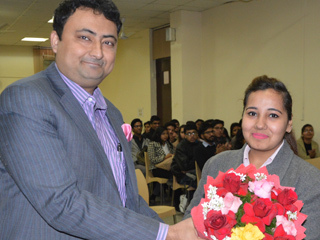 It was also explained that the career objective should be stated clear and simple. The student should be clear about his/her objective to join any company and about life goals too. He further said that the students should highlight IT skills in the resume to make it look impressive. There should be tailored resume for different job profile and job requirements. Further, he clarified that the academic section in the resume should be in data form instead of the simple old table format. The percentile should be to mark the academic performances of the student. The email id mentioned in the resume should be in proper format and short forms should be avoided in the resume. He added that covering letter should be impressive. Student should write only true facts in the resume and should not make any false statements. The true statements should be followed with a clarifying explaination. While submitting the resume one should take care that the the resume should not be more than one page and should have the photo of the student on the resume. He responded to the questions raised by students. 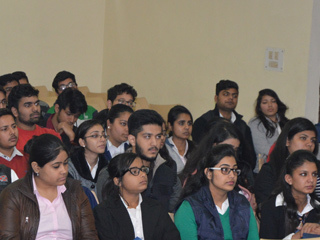 Session was very interactive and also enlightened students on how to make resume impressive.